Making a choice of ten contemporary painters whose work you should know wasn’t an easy one. There are so many talented and remarkable artists working today bringing fascinating and enthralling work as we speak. As we had room for only ten of them, we tried to make a cross selection, presenting you with young and established artists, male and female, who work figuratively and in the field of abstractionism. As we already wrote about the best American painters, our list today is focusing on the work of some of the best international artists who are probably familiar to you, and if they aren’t this is a great opportunity to find out more about their practice. Take a look at the current painting masters and learn something new about (y)our favorite painters! Our list begins with one of the admirable Eastern European artists. 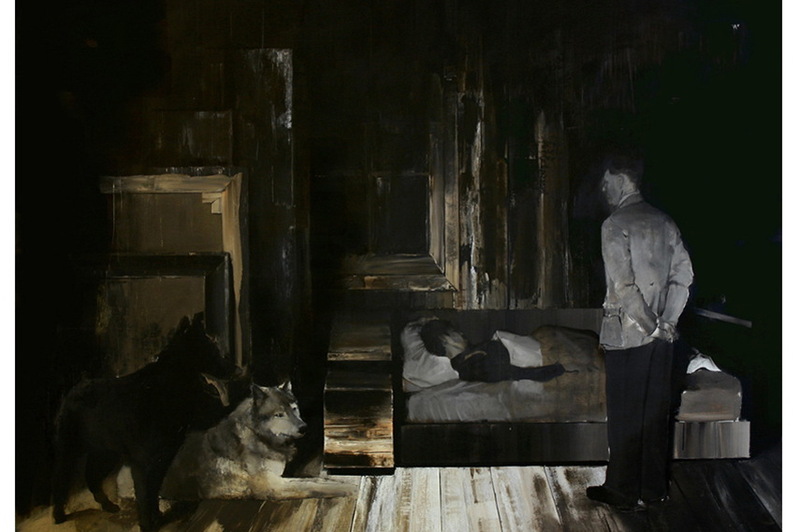 Born in Romania in 1977, Adrian Ghenie became recognized internationally during the mid-2000. His style is often praised for its powerful and dramatic quality achieved through the deployment of untraditional painting techniques. A curiosity about his work is the lack of the brush strokes, as Adrian Ghenie refuses to use brushes, making gestural and spontaneous imagery only with his palette knife. 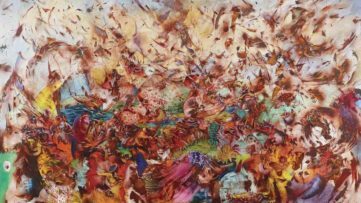 Eerie and messy-looking, his paintings bring out vigorous scenes merging the exploration of unconscious with important events in European history. His work is represented by the Pace Gallery in London, although many of his paintings are collected worldwide, and part of some important public collections. Tala Madani is one of the most interesting figures in the younger generation of Iranian painters. Although she’s been living in the US since the age of ten, her whimsical characters bear the resemblance to stereotypical Middle Eastern males. She is mostly known for her satirical comments on the absurd masculine rituals, playing with the notion of gender roles and sexuality. Throughout her work, she addresses the aggressive male behavior, associated with machismo in a humorous and ironical way by placing her macho middle-aged characters in embarrassing and undignified situations. 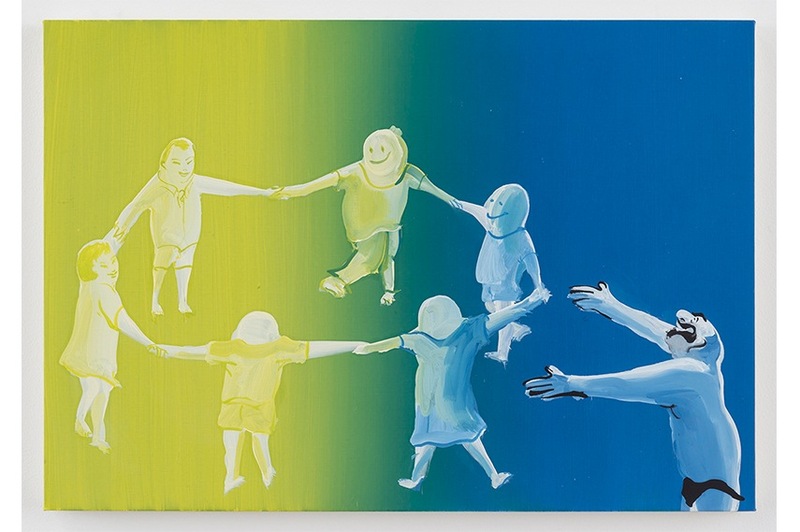 Currently, her exhibition entitled Smiley Has No Nose is on view at David Kordansky Galley in LA, so check it out if you’re in the neighborhood. Jenny Saville emerged on the art scene as one of the artists associated with the Young British Artists and raised to recognition through the support of Charles Saatchi, owner of the Saatchi Gallery. She primarily works in the traditional field of figurative painting although her area of interest is not something we regularly see and expect. 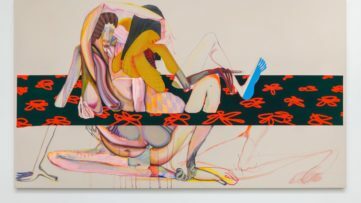 Her large-scale paintings challenge our notions of beauty through the series of nudes representing grotesque and sometimes distorted bodies. 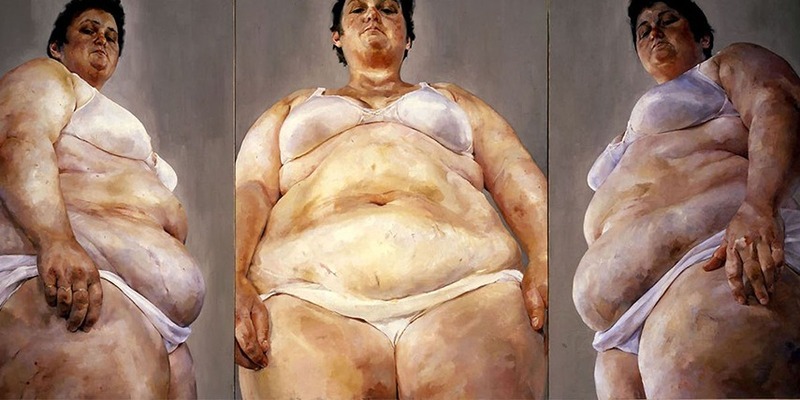 Obese women and bodies between genders are some of the themes Jenny Saville is famous for representing, bringing the physicality to the surface as solid as it can be caught on canvas. Her work is often interpreted as a feminist statement and praised for its unconventional qualities. Charles Mayton is a New York-based painter who works in the field of abstractionism. His paintings are often auto-reflexive, contemplating on the medium itself. The meta-poetic discourse dominates his work, as he explores different ways in which the artistic inspiration can be documented on canvas. Abstract and conceptual, Charles Mayton’s paintings speak about themselves and the process of their making. 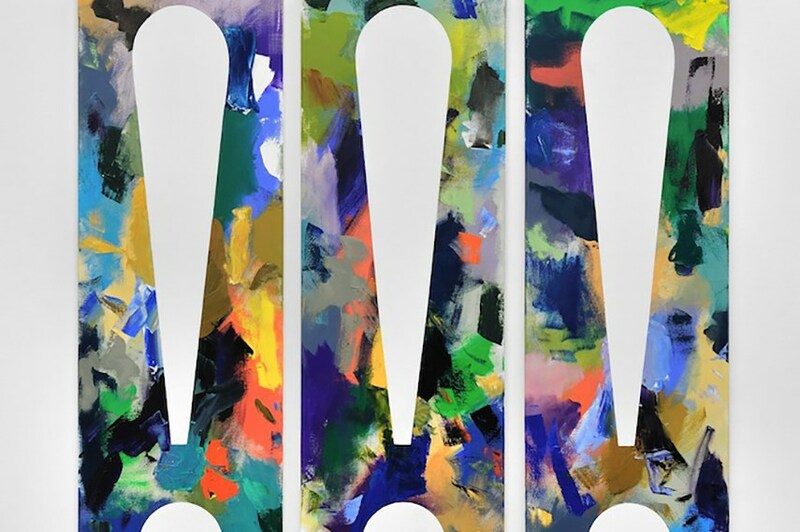 Blank spaces in the form of semiotic symbols can be seen as the trademark of his work, cracks in the vivid and colorful surface, left for the spectators to fill in the meaning. He is also engaged in the dialogue with the past, the way in which pieces from the past can be reconstructed and revitalized in different cultural and intellectual contexts. Mamma Anderson is and established Swedish painter whose works can be seen worldwide, as part of some of the most prominent museum collections. Some of her most recognizable works are mystical landscapes inspired by the inherent Nordic folk art. Other works from her oeuvre include private, domestic settings and genre scenes. Intimate and melancholic, her works challenge the notion of space exterior or interior, bringing out the uncanny atmosphere, familiar and inviting, yet distant from the viewer. Her style includes juxtaposition of thick layers of paint with clear spaces in between, sometimes reminiscent of the works of French impressionists. Mamma Anderson was the winner of the Carnegie Art award in 2006, one of the most prestigious prizes in the field of contemporary Nordic painting. Conor Backman is an American artist who works in various mediums and whose paintings are often merged with other art forms. He is experimenting in the field of painting, often intersecting it with his sculptural practice. 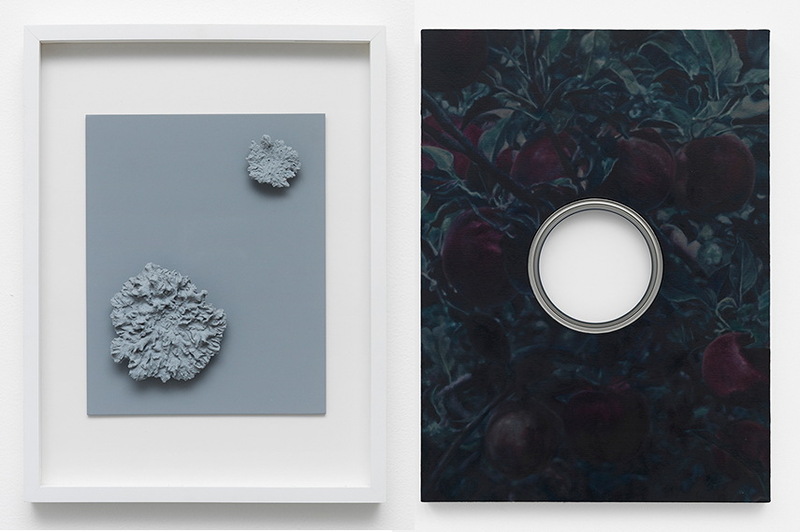 His innovative works challenge the perception of viewers, and most of it has to do with them being done in the trompe l’oiel technique. Whether by optical illusion or through the use of exterior objects pinned to the canvas, his artworks frequently achieve three-dimensional effects. He is possibly one of the leading experimenters among current contemporary painters in the US. 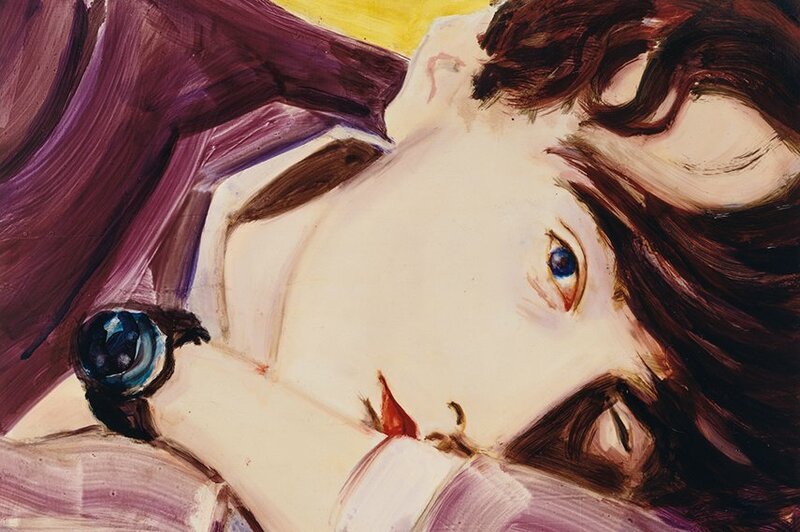 Elizabeth Peyton gained recognition in the mid-1990s when she became widely known for her portraits of pop icons, celebrities and people she was emotionally engaged with. Her work was always criticized as strongly influenced by the work of Andy Warhol. A range of celebrities was portrayed by Peyton over the years from David Bowie and Nicole Kidman to alternative bands like The Strokes and Pulp. Her idealized and joyful portraits are done mostly in oil paint, although she sometimes works with watercolor, pencil or charcoal. Elizabeth Peyton’s celebration of the youth culture of the eighties and the nineties was one of the most important artistic endeavors to bring the figurative painting styles back on the scene. Ian Francis is one of the most interesting painters of the younger generation of Britain’s artists. His educational background in the illustration made a great influence on all of his works. His paintings are done in the mixed media caught between fine art and graphic design. The dramatic scenery of his paintings commentates on the human condition in the postmodern times, addressing the issues of sensationalism, hyperreality and simulacra dominant in contemporary society. 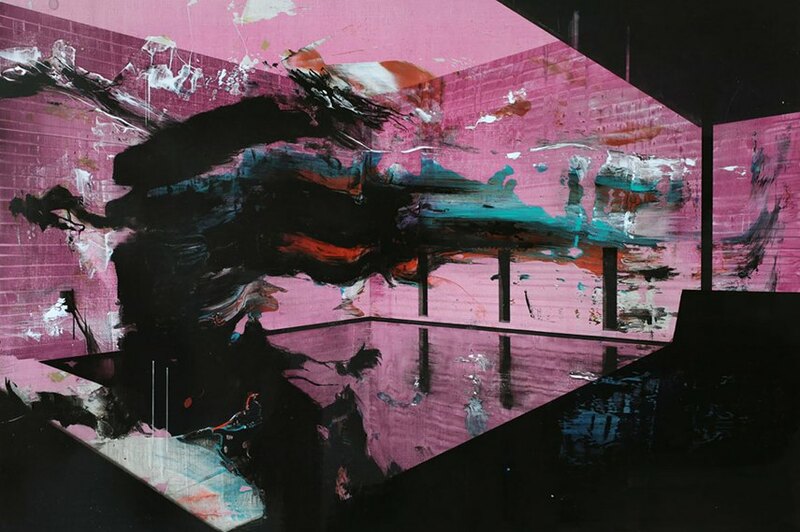 Ian Francis is best known for his complex and multi-layered paintings often depicting violence and brutality in a video game-like manner and urban environments. 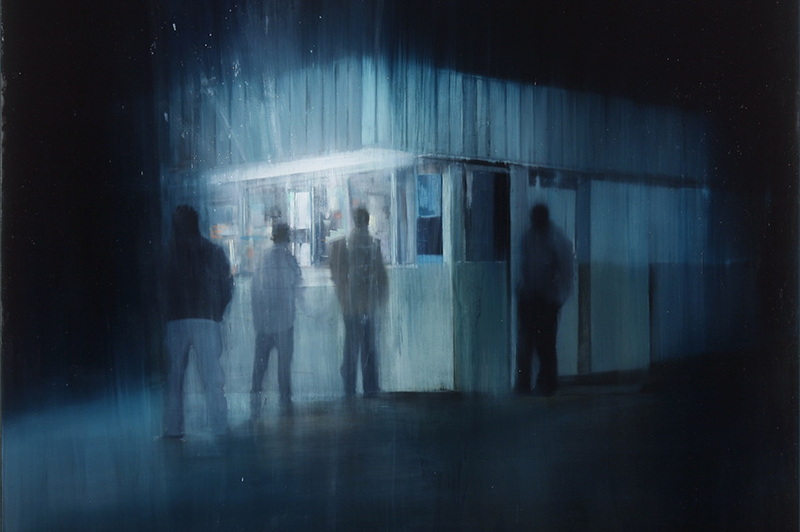 Currently based in Oakland, Brett Amory is widely famous for his Waiting series, paintings which focus on the problem of the alienation in contemporary society. Inspired by the New Topographics, the group of photographers in the 70’s focused on realistic representation of landscape. Forty years after, Brett Amory began documenting lone individuals on the streets in San Francisco, where he lived for more than a decade. But it was only an initial inspiration as we later see only traces of the documented locations. 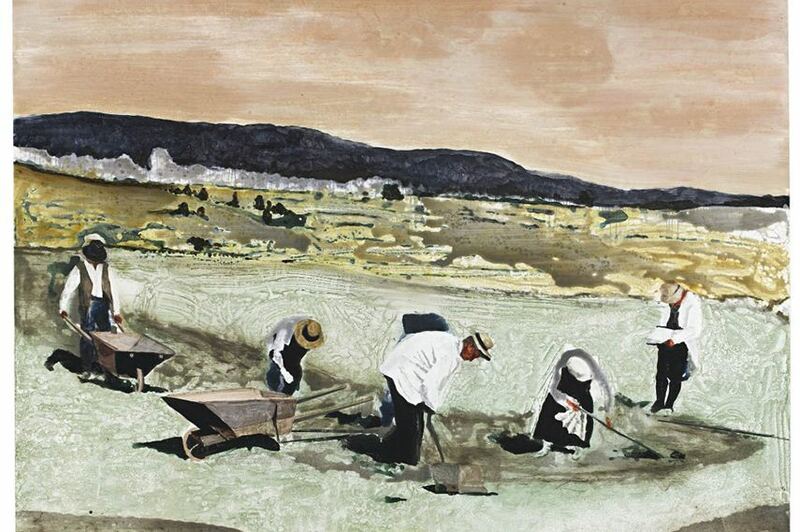 By blurring the documented landscape, the people depicted on the paintings tend to look even more disconnected and isolated individuals, turning into allegories of solitude and loneliness. Recently Brett Amory has been working on less melancholic imagery painting more colorful scenes of the urban environment. 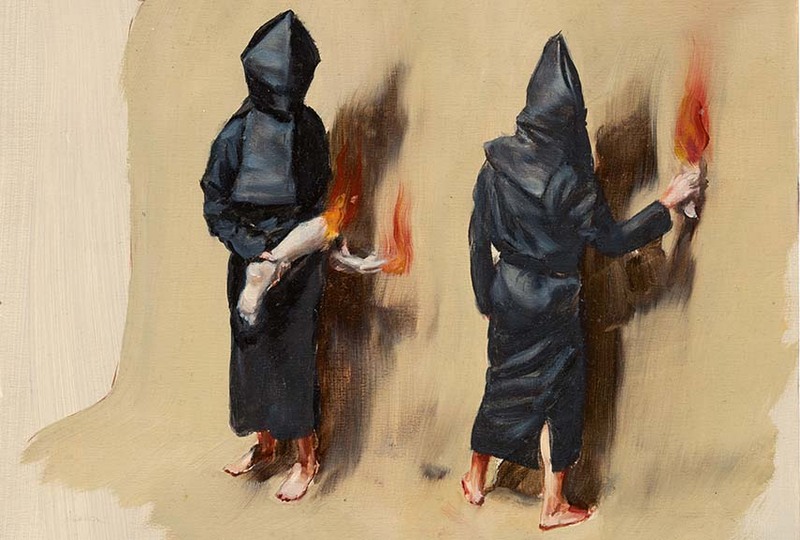 The last on our list, but not at all the least important is Michaël Borremans, painter and the filmmaker from Belgium. His painting style is reminiscent of the Old Masters, which is not a coincidence as his influence varies from the Flemish school to eighteenth-century art and classic works of impressionists. As a filmmaker, he is also gifted when it comes to capturing those moments of dramatic and theatrical quality. Enigmatic and mysterious, sometimes even disturbingly looking, his portraits are often done in an unconventional way, with subjects turned away from the viewers or sometimes reduced only to their body parts, achieving a grotesque effect on the viewers. Take a look at the book Painting Now by Suzanne Hudson which features works of Ana Cardoso. Suzanne Hudson, the renowned critic and art historian, gives an intelligent and in-depth insight into the contemporary painting. 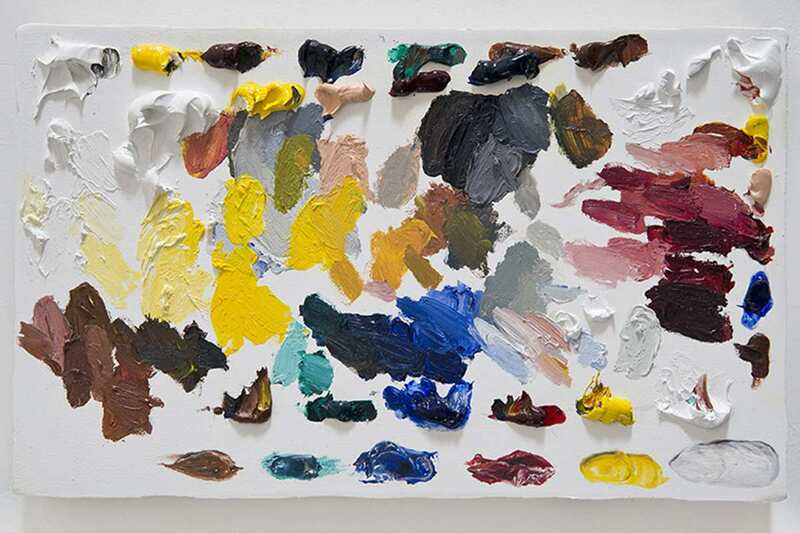 This book gathers more than 200 artists from all around the globe, whose practice defines and shapes painting today, and Hudson analyzes their works and aesthetics providing reproductions of their key work for illustrative purposes. 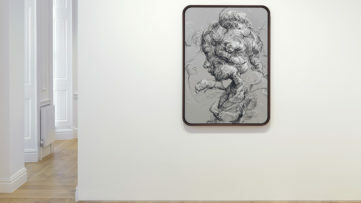 These luminaries include Franz Ackermann, Michaël Borremans, Chuck Close, Angela de la Cruz, Subodh Gupta, Julie Mehretu, Vik Muniz, Takashi Murakami, Elizabeth Peyton, Wilhelm Sasnal, Luc Tuymans, Zhang Xiaogang, and many others. The book is organized into six thematic chapters exploring different aspects of painting such as appropriation, attitude, production and distribution, the body, painting about painting, etc.